Each head of the dog can represent the A/B/C variants respectively as one of the 3 heads of the mythological creature! What self-respecting fighter pilot would get caught dead with such a cerebral nickname? Besides... you can't pick up chicks as a Cerberus driver! The Super Duper guys would clean up, and you can't have that! alloycowboy wrote: If the F-35A is being called the Panther and the F-35C the Reaper, what are they calling the F-35B? Lightning is a pretty decent name, IMO. What say you that if the powers that be had just stuck with Lightning, and left the silly II off the end, that everyone would have been happy? If memory serves, the Brits are not referring to it as the "Lightning II," but just as the "Lightning." Or so I thought I had read. There is even US precedent for leaving off the II -- when the Chance Vought F-4U was named, it borrowed Corsair from an earlier aircraft of the same name in the 1920s. No one called the F-4U the "Corsair II" -- just the "Corsair." Has anyone come across any recent confirmation if Panther is in fact the "unofficial" nickname for the jet? I still kinda like Killer Bee or just Bee for the fan jobbee. Although that one Marine General called it a Velocipraptor. That's a mouthful, though. Maybe just Vello for short? VELLO? Too much like VELLOtape - check it out. spazsinbad wrote: VELLO? Too much like VELLOtape - check it out. VRAP? Now we into MRAP country - now that is a BAD RAP. VERP? BURP for the ALE SWILLING innit. Aaah - ye olde BURP Gun - son of a gun. 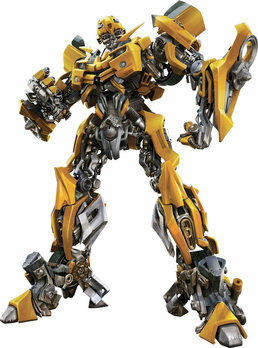 While Killer Bee has been suggested and used occasionally around here for the F-35B, maybe BumbleBee as a nod towards the Transformer character. She has lots of moving parts and shor does “transform.” Plus BumbleBee was pretty badass in those movies — movies that kids who will be flying her grew up with. Is it not obvious the pilots should call it the Zapper?